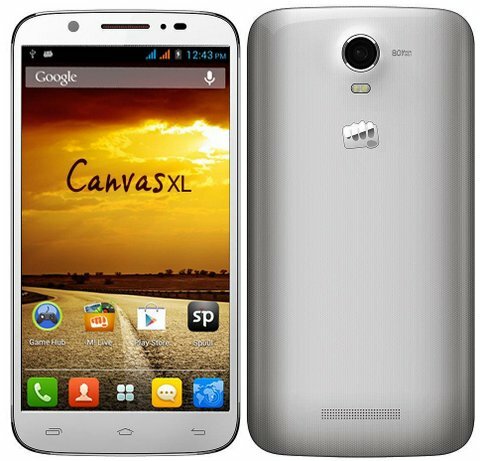 Micromax has launched a new smartphone with some top specs, the A119 Canvas XL. The new A 119 XL ( extra large) has 6 inch display with qHD resolution. It is the company’s second phone with more than 2000mAh battery. Like other Canvas phones, it also supports DUAL SIM ( GSM). It is company’s first phone with 6inch display. It will compete with A240 Doodle 2 and Gionee Gpad G3. The phone is accomplished with Android 4.2 OS. It is 10.4mm thick and weighs 180 grams. The design and look although is premium, but its not slim and light. It has 2450mAh battery that claims up to 9.5 hours of talk time. The A119 XL comes with 8-megapixel primary shooter and 5-megapixel front shooter. It gains the strength from 1.3 GHz 4-core CPU paired with 1 gigs of RAM. There is 4gigs of ROM out of which 1.7GB is assigned for user, you can also expand the storage via micro SD card. The A119 Canvas XL is priced at INR 13,999 and is available from online retailers. It comes in White and Black colors.